Get naturally beautiful skin at Spatique with safe, non-invasive and clinically effective treatments. We combine revolutionary product formulas containing botanical ingredients with high-tech modalities to enhance your beauty… naturally. 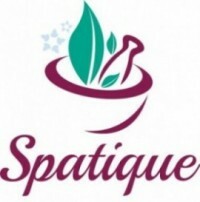 If you are looking for a great massage in a cozy environment, Spatique is for you. This is not a cookie cutter salon. Nestled in a very clean, quaint vintage home, Spatique offers you a professional but friendly staff. I indulged with a massage … Fabulous! I can’t wait to go back to experience one of their other many services. Don’t wait!!! ” My experience with Spatique thus far has been above and beyond my expectations. I’m getting married in June so at the beginning of the year I was looking for a program to help me lose weight and keep it off. I had my consultation with Shonda and she explained several services and options. It was important to me to do noninvasive procedures. We made a game plan and she worked with me on my budget and schedule. Upfront her service was exceptional. Once we put my plan into action which started with LipoLight Body Contouring, Shonda started measuring results. I’ve had around 9 treatments so far and I’ve lost about 15 pounds and several inches! The secret, which Shonda told me upfront, was that she can give me the tools but I still need to do work with nutrition and exercise at home, otherwise I wouldn’t see maximum results. To help me, she provided a nutrition plan and tools to use for exercise to make my life easier. for a local place to relax and be pampered. “If you want a private, non commercialized skin care center experience, Spatique is the best place to visit. Skin Care services at Spatique in Overland Park, Kansas are designed to address a number of issues that have a direct impact your self-image. We specialize in providing personalized, professional therapies to boost your self-image with anti-aging skin care, body sugaring hair removal and weight loss. Sugaring since 2013, we are the first full service skin care center in the Kansas City metro to offer the art of body sugaring hair removal — an all natural alternative to waxing. Our focus is on holistic, non-invasive and clinically effective treatments using the most natural ingredients to enhance and maintain your overall health, wellness and self-image. We offer a vast treatment list for your skin care and image needs. Our Licensed Therapists are happy to assist you with a consultation for guidance in making an informed decision about the procedures you desire to receive. Because we care, time is dedicated each month for one complimentary “Healing Touch Facial” to a deserving oncology patient. This service is offered by our Lead Therapist, who is an Oncology Certified Esthetician. For consideration or details, click the Cancer Aware badge. Schedule your skin care or body sugaring appointment using our Easy Online Scheduler. It’s the quickest, most convenient way to secure your preferred appointment time! Be first to know about Spatique Specials!